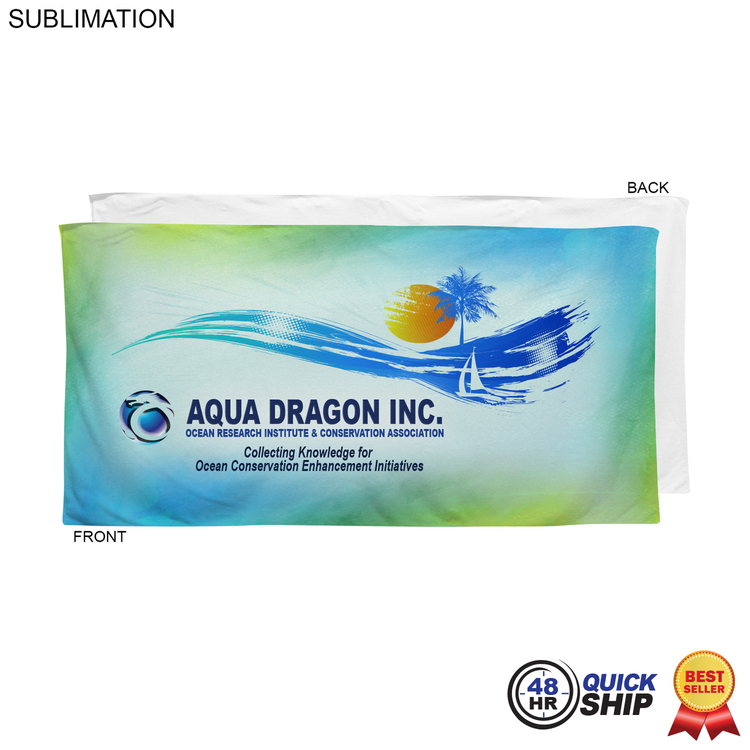 Turn the beach into a party with cotton polyester beach towels. 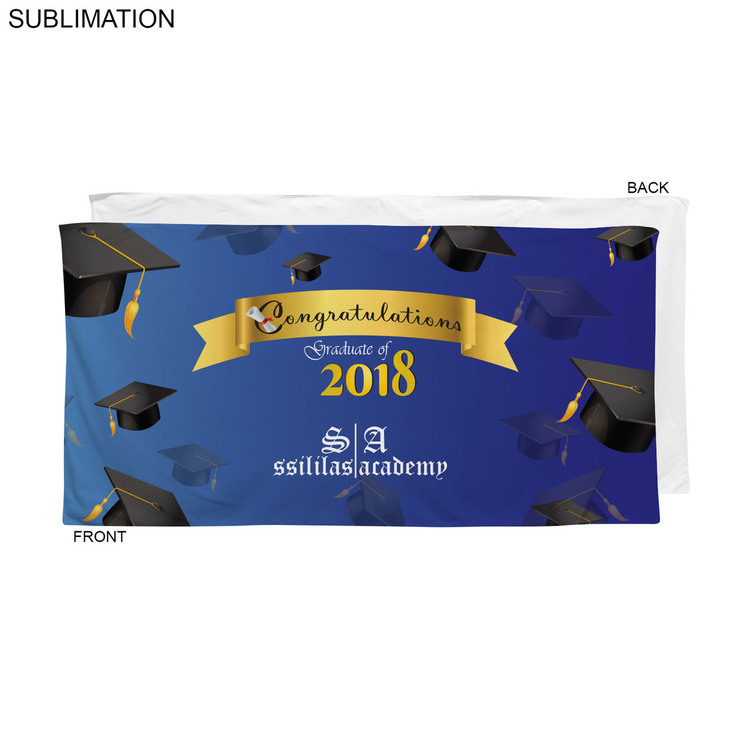 Max Imprint: 30" x 60"L.
Blank product is $15.82 (c ). All quantities. SKU # BL586. Paisley bandannas are lightweight and versatile. Use as headband, handkerchief, napkin or neck scarf. 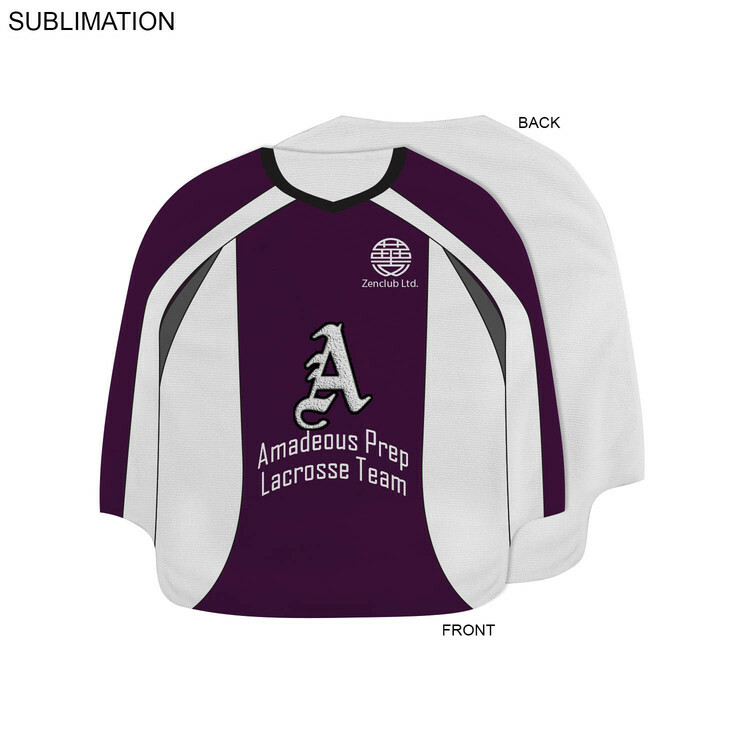 Sublimated paisley design, simply add your full color logo. 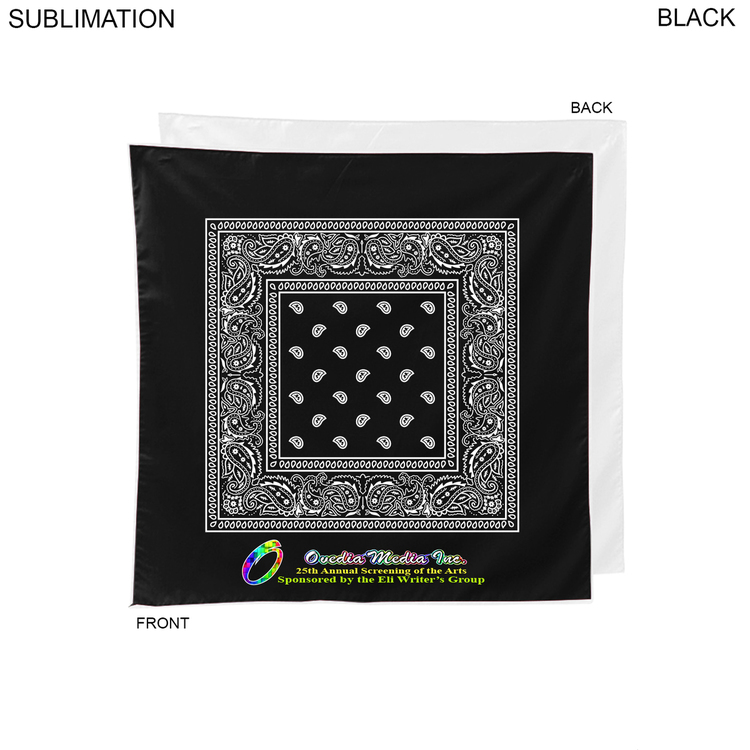 Back side of bandanna is white color. 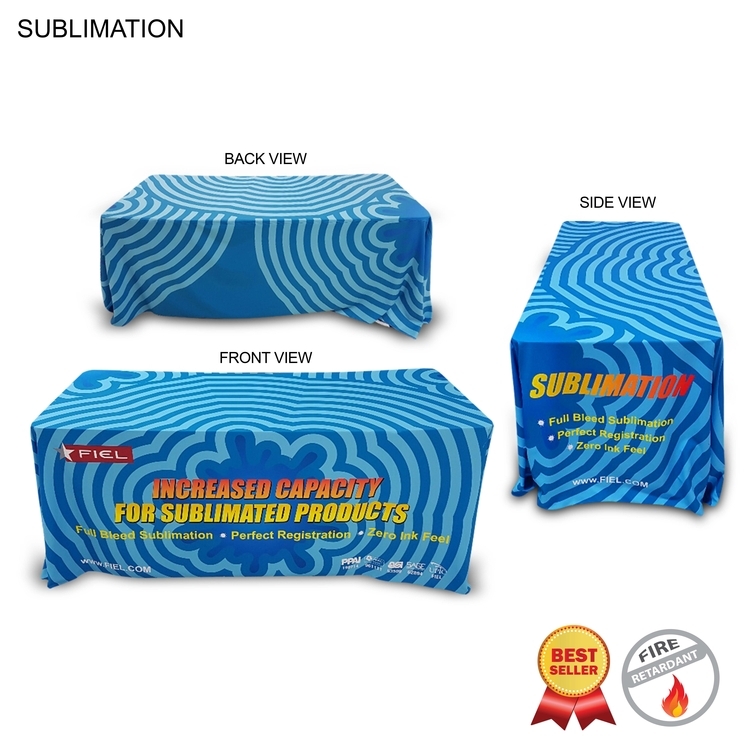 Imprint: Paisley: 15" x 15" ; Max logo: 15" x 2"L.
Usage: Sports, Teams, Events, Fashion. Proofs not available. Accuracy of the artwork is the customer's responsibility. Blank product is $1.65 (c ). All quantities. SKU # BL176C. 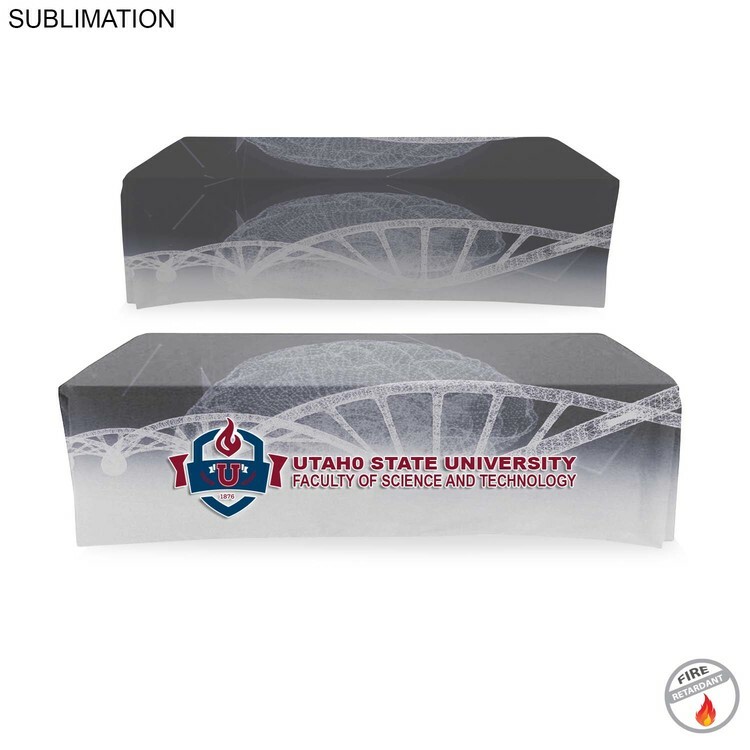 Edge to edge sublimation for your graphics. Max Imprint: 30" x 40"L (front & back). 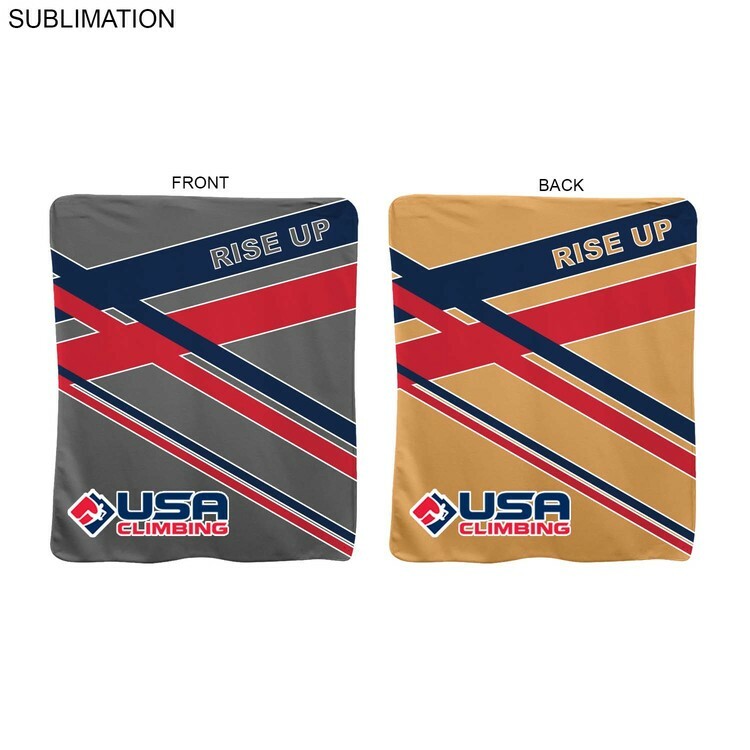 Graphic possibilities are endless on the sublimated throw cushion. Size is luxurious and practical. Great accessory for the pool or beach. Max Imprint: 16" x 16"L (Front & Back). Blank product is $23.31 (c ). All quantities. SKU # BL159. Usage: Corporate Teams, Sports Teams, Events, Camps, Schools, Parting Gift. 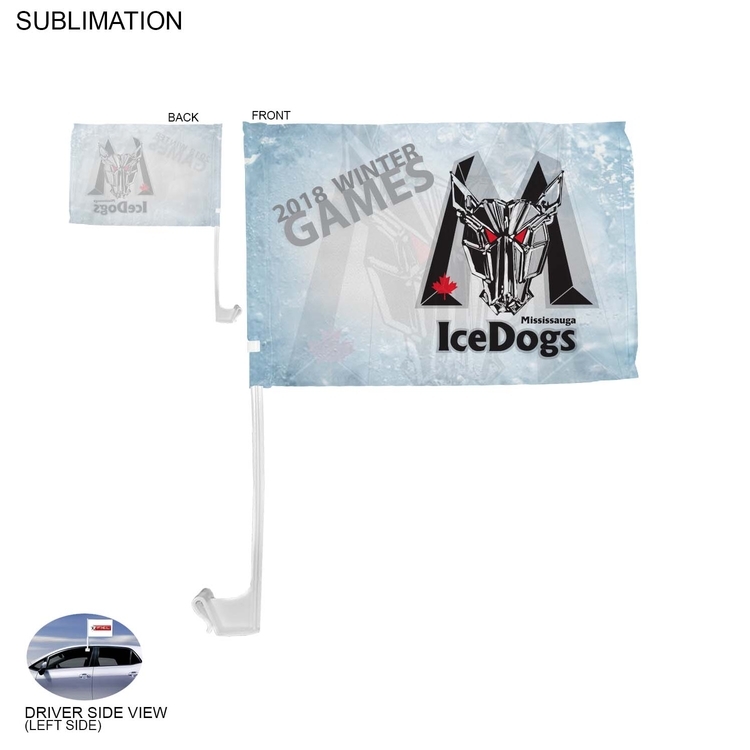 Car flags are great for showing your support or team spirit. 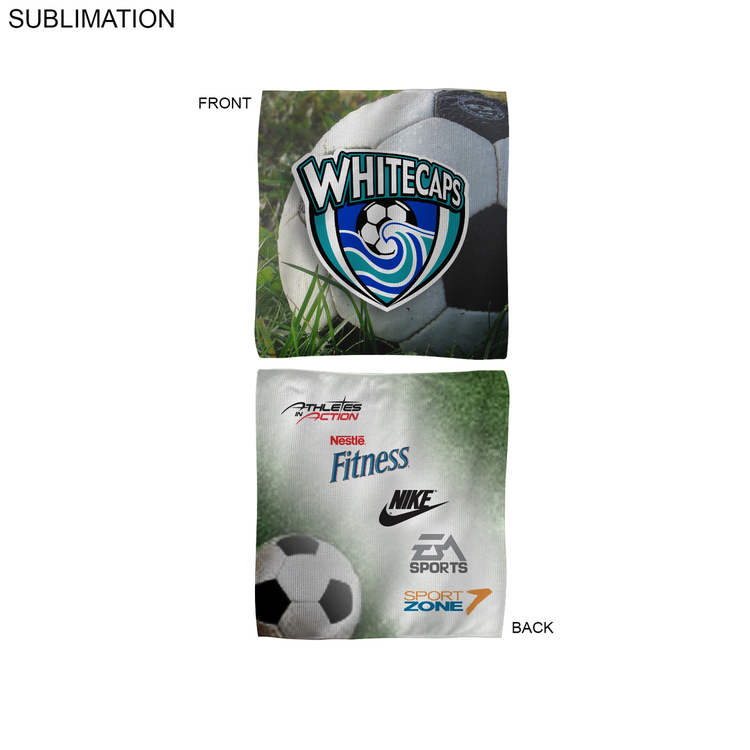 Show your creativity with full sublimation. 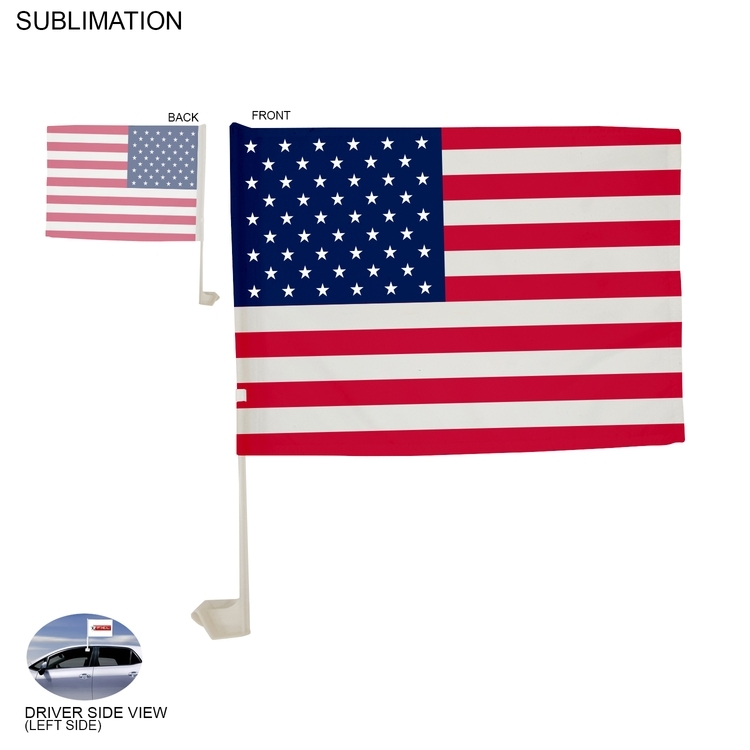 Polyester flag is superior to cotton flags. (Fly better and lasts longer). 17" standard pole. Suitable for city driving. 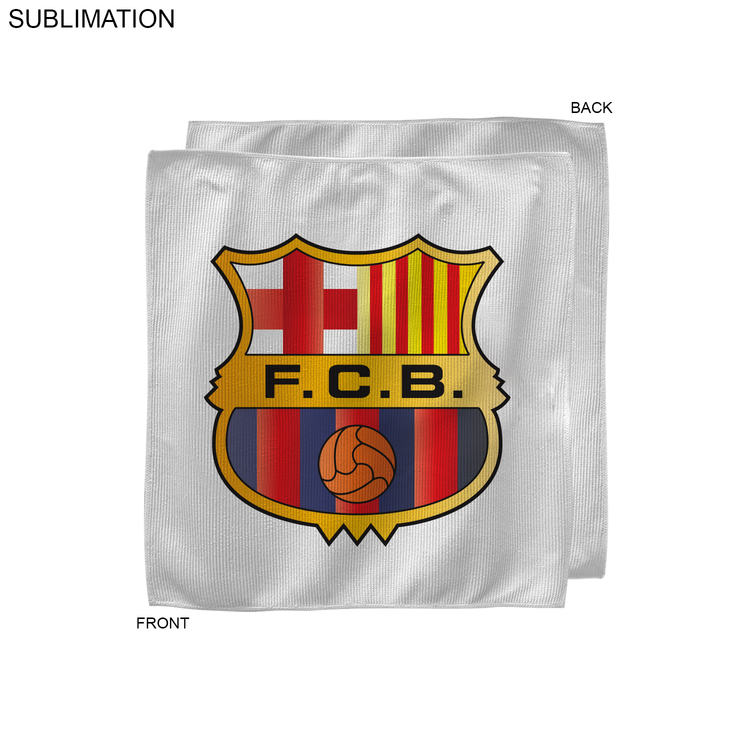 Price includes full color sublimation. (Front only). Blank product is $4.15 (c ). All quantities. SKU # BL563. Usage: Company events, Sports Teams, Campaigns, Elections. 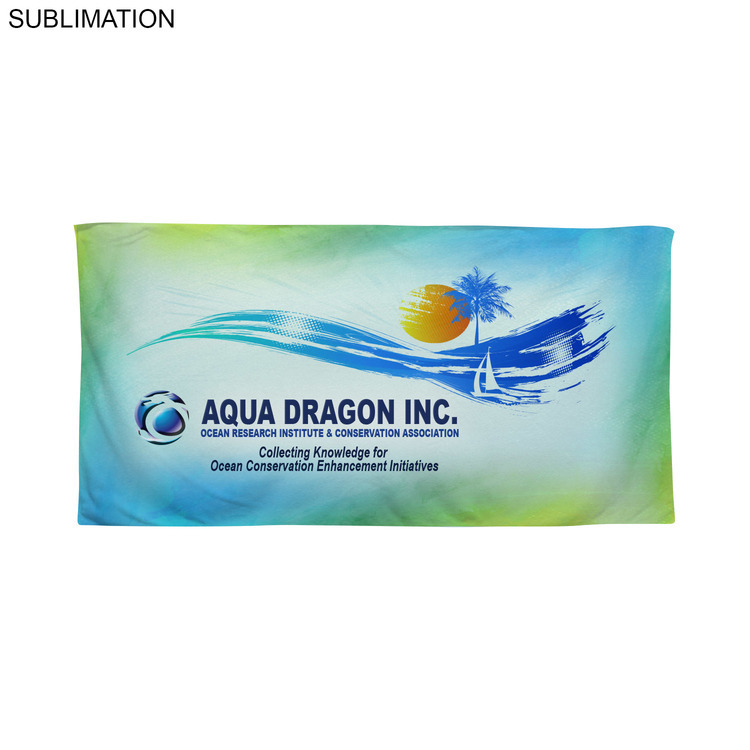 Drop your logo into our vibrant stock design beach towel. 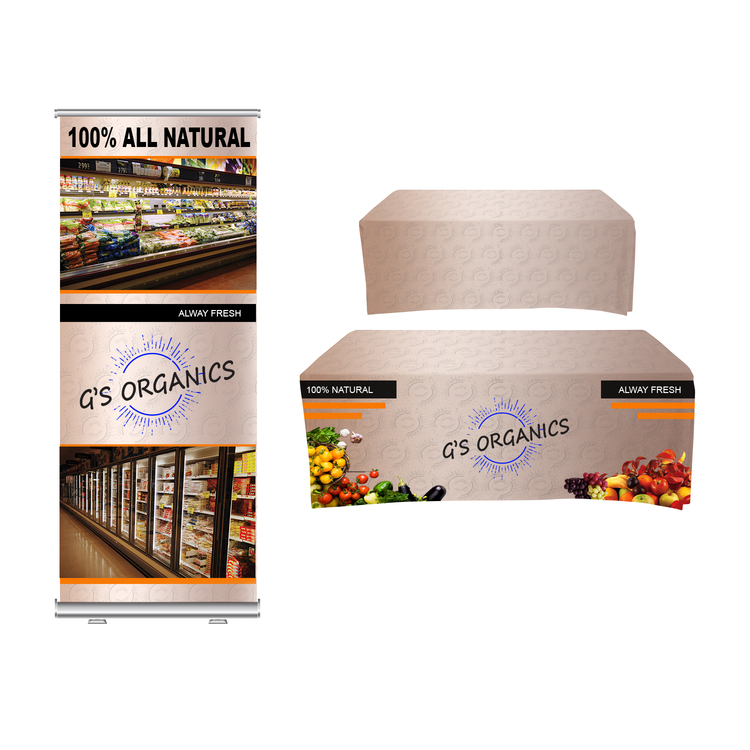 Great platform for message or branding for the target audience. Unlimited colors and logos for one price. 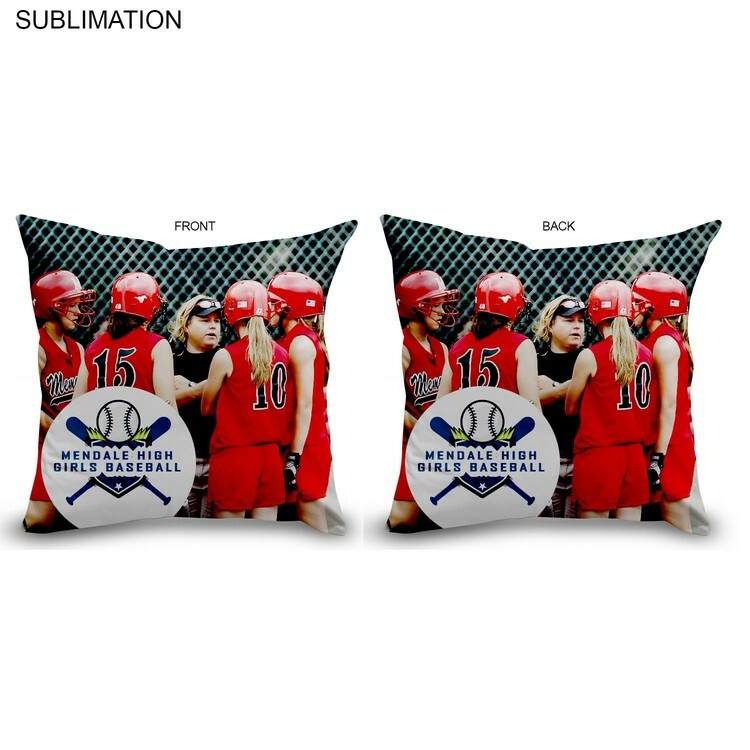 Price includes full color sublimation, 2 sides. Max Imprint: 12" x 12"
Blank product is $1.32 (c ). All quantities. SKU # BL206. Usage: Corporate Events, Sports, Teams, New Product Launches. Blank product is $1.15 (c ). All quantities. SKU # BL208. Usage: Schools, Colleges, Universities, Gifts. 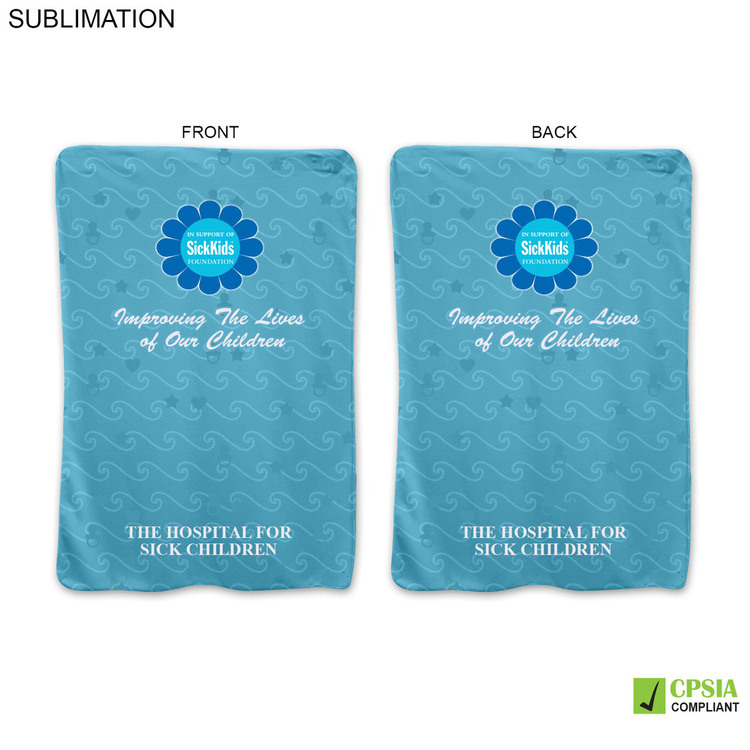 Microfiber terry towels can be fully sublimated to show your full creativity. 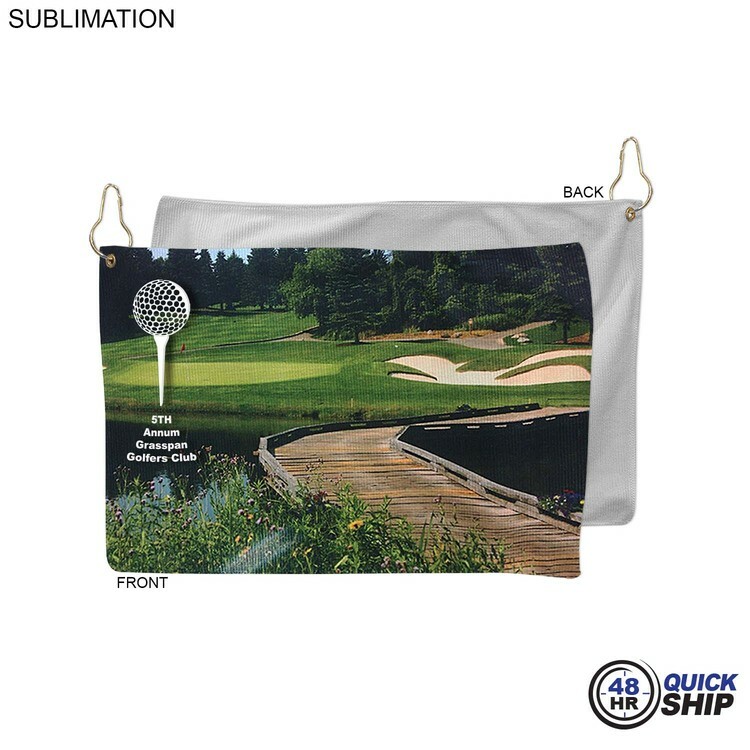 Unlike silk-screen, sublimation is soft to the touch and will not scratch. Blank product is $4.98 (c ). All quantities. SKU # BL635. Poplin bandannas are lightweight and versatile. Ideal size for medium dogs or pets. Max Imprint: 19" x 19" x 27". Blank product is $2.49 (c ). All quantities. SKU # BL469. Usage: Sports Team, Events, Fashion. 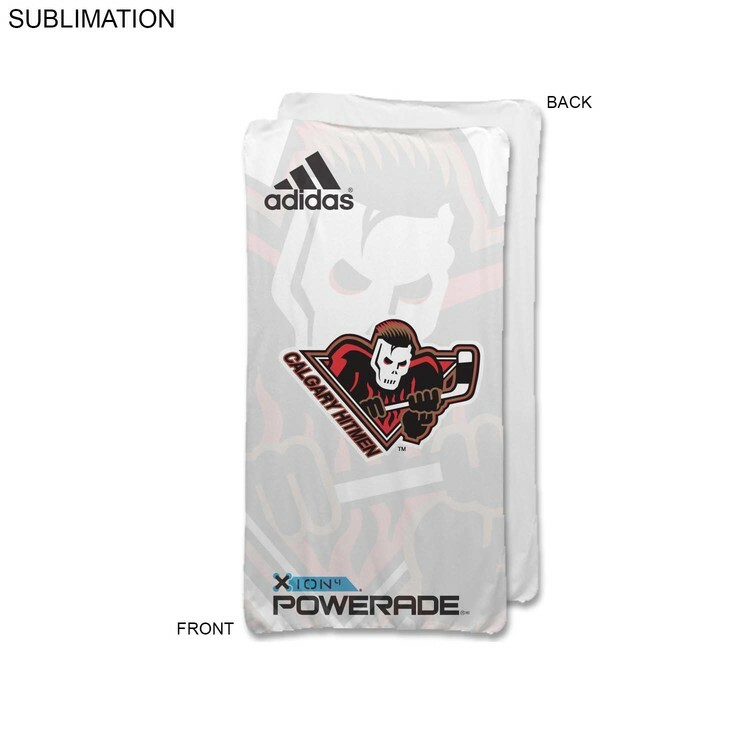 Show your spirit with jersey shaped rally towels. Max Imprint: 17" x 17"L.
Blank product is $3.32 (c ). All quantities. SKU # BL603. Usage: Lacrosse games, Souvenirs, Promotions, Retail. 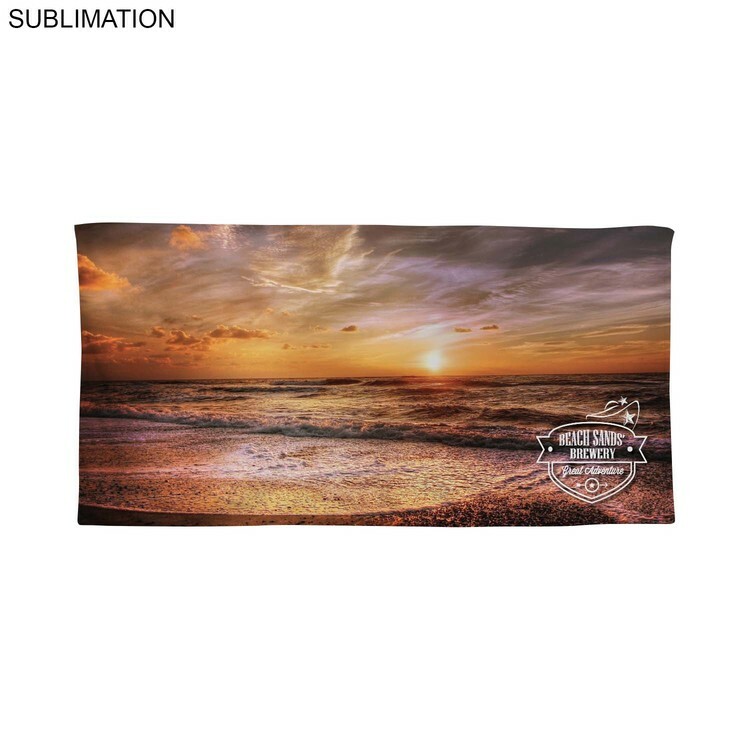 Wrap yourself in our 2-tone sublimated fleece blanket. 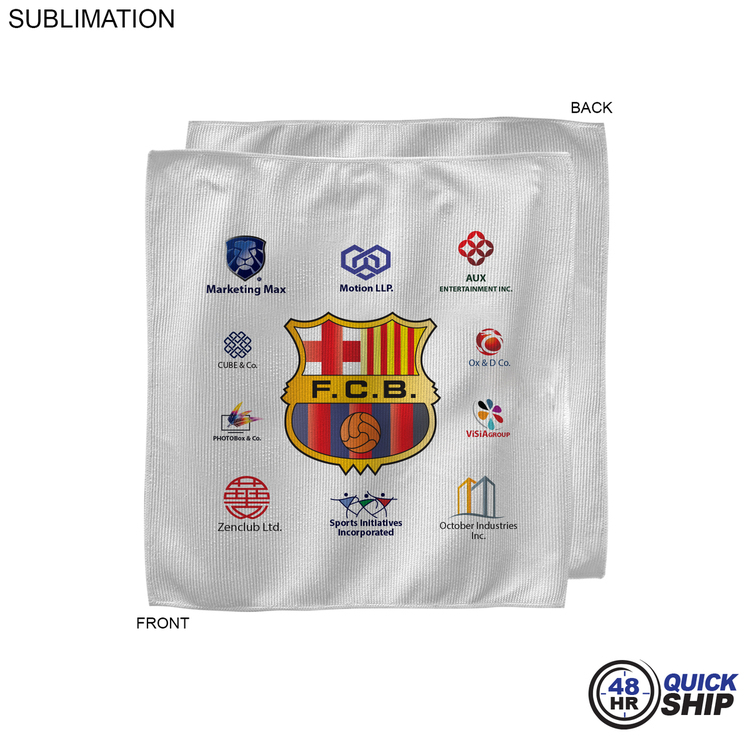 Edge to edge sublimation for your team or corporate message. Max Imprint: 50" x 60"L (front & back). Blank product is $16.65 (c ). All quantities. SKU # BL653. Max Imprint: 96" x 30" x 30". Blank product is $149.99 (c ). All quantities. SKU # BL616. 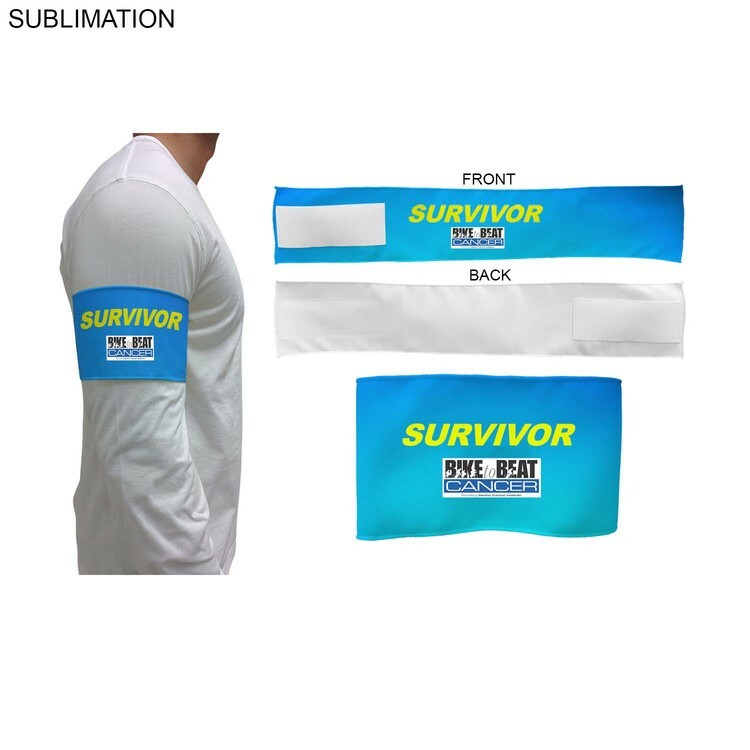 Armbands are affordable attire while looking professional. Blank product is $4.99 (c ). All quantities. SKU # BL177. Usage: Races, Events, Fitness Centers, Health Clubs, Hospitals. Blank product is $3.32 (c ). All quantities. SKU # BL176W-3. Imported velour towels are soft and absorbent. 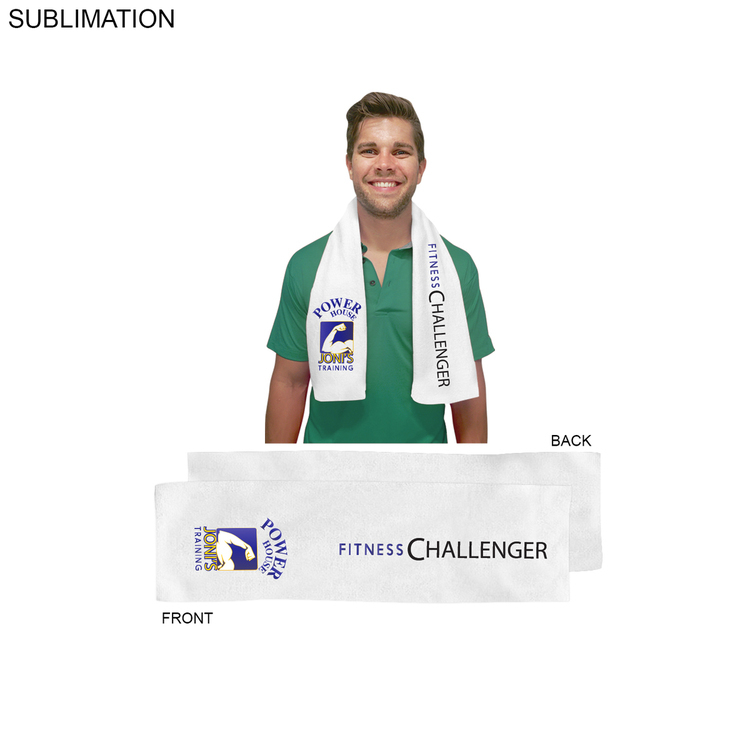 Versatile promo gift for sport related campaigns. 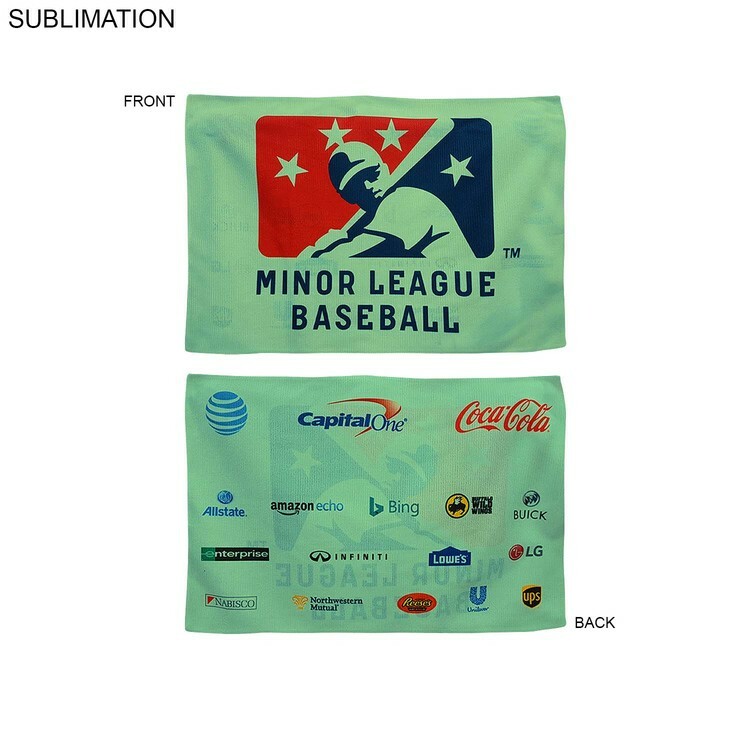 Towel design with logo printing in mind. 50% Cotton / 50% Polyester Velour Terry. Max Imprint: 12" x 18"L.
Blank product is $2.49 (c ). All quantities. SKU # BL628. Usage: Sports, Athletic Events, New Product Launches, Spa, Salons, Corporate Gifts. 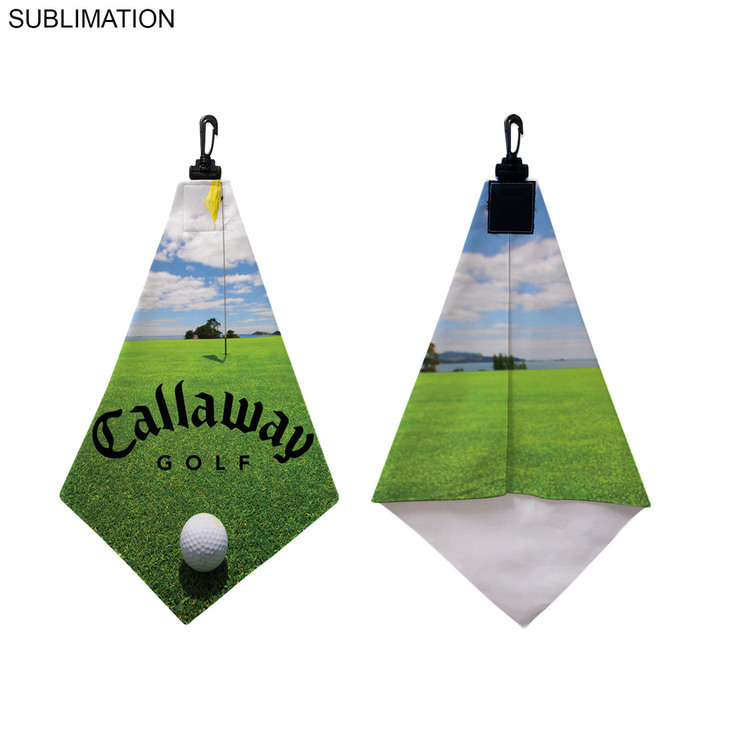 Let your imagination go wild with sublimated microfiber golf towels. 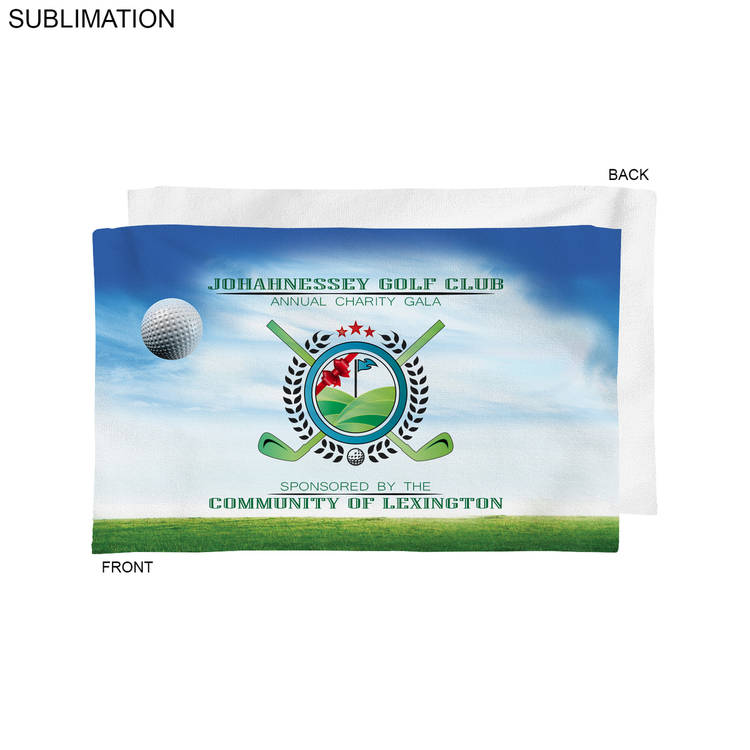 Great for signature holes on golf courses or corporate message. Blank product is $2.31 (c ). All quantities. SKU # BL178HG-NOFOLD. 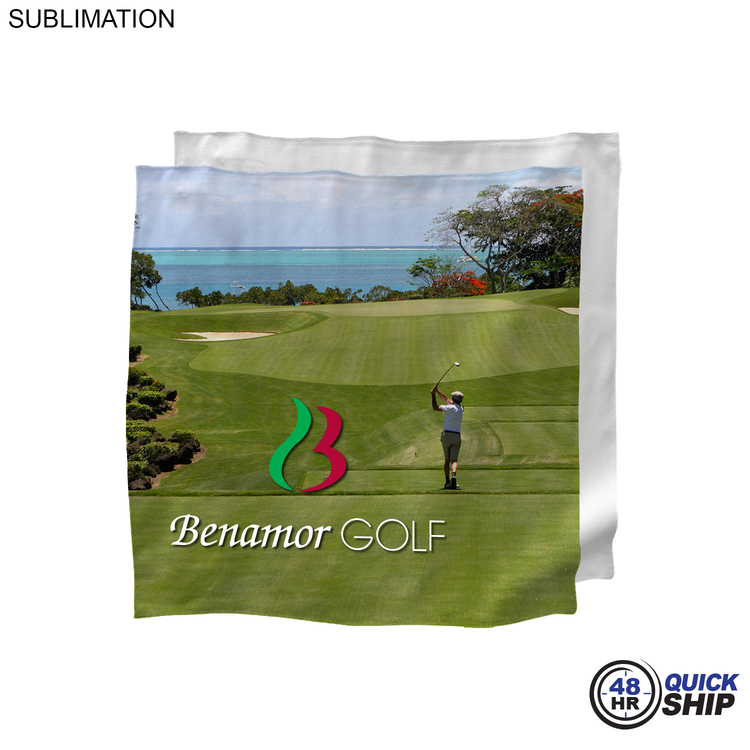 Usage: Golf Tournaments, Pro Shops, Corporate Team Gifts. 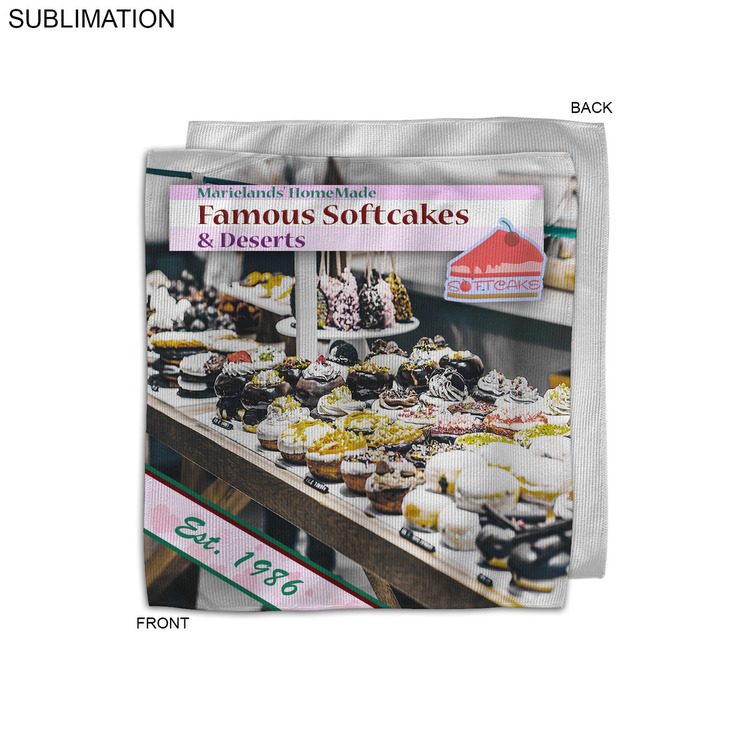 Use microfiber towels to brand your next new product or existing brand. Max Imprint: 15" x 25"L (front & back). Blank product is $3.15 (c ). All quantities. SKU # BL614. 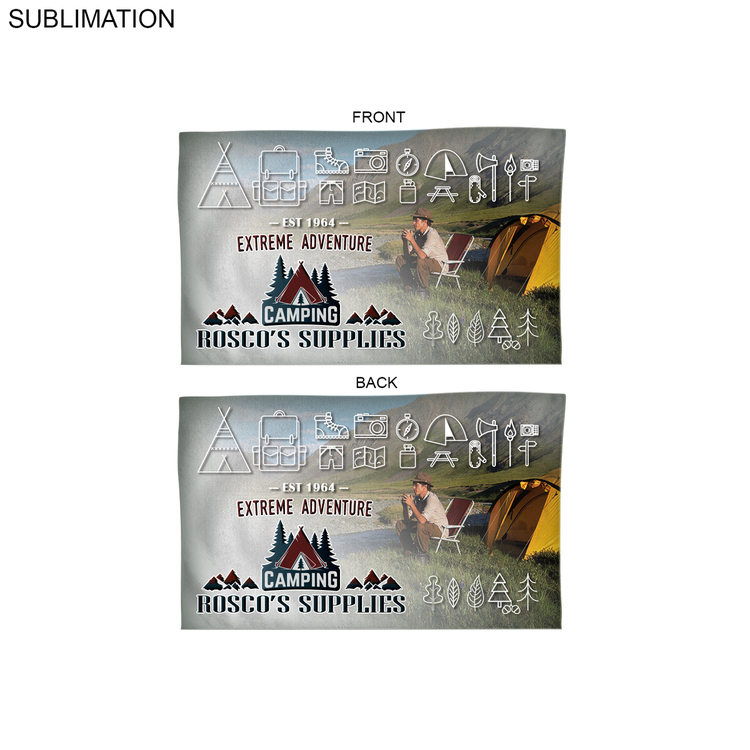 Usage: Teams, Gyms, Marathons, Camping, Outdoor, Corporate Gift. Keep the main logo the same. Change faculty or department names. 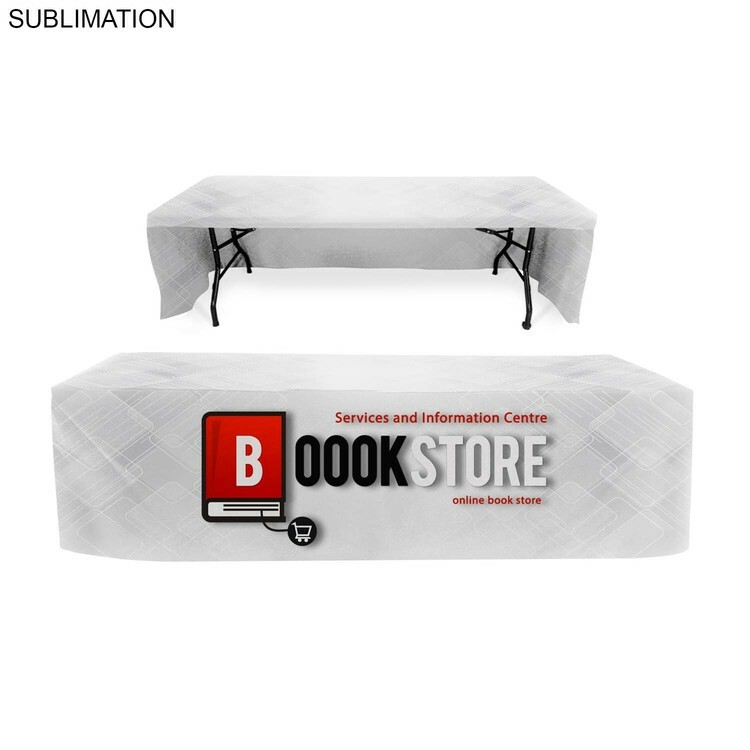 Max Imprint: New Size: 154" x 87"L.
Wrap yourself in our sublimated fleece blanket. 15" promo pole. Suitable for city driving. Blank product is $1.65 (c ). All quantities. SKU # BL564. 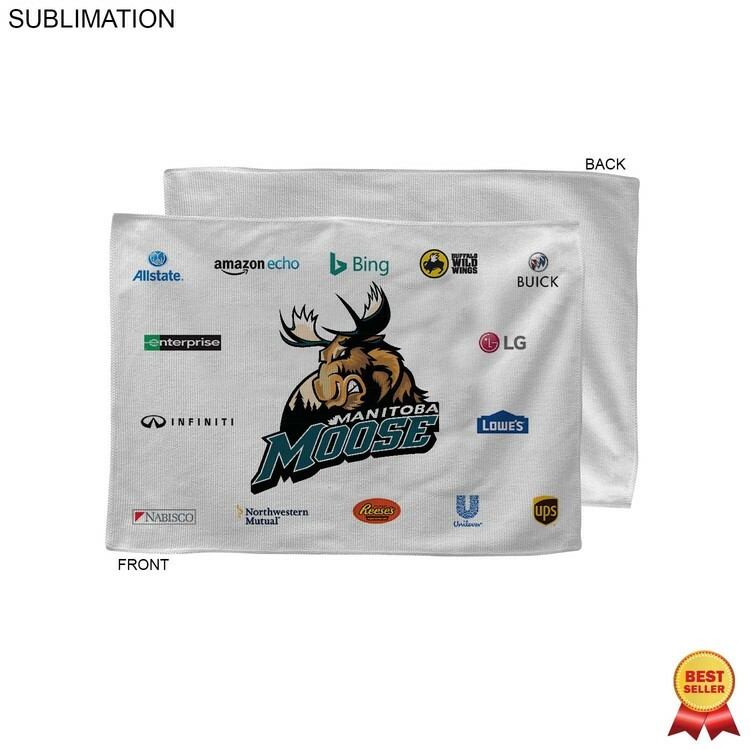 Get unlimited sponsors sublimated on the microfiber rally towel. Team logo on one side, sponsors other side, or anything you fancy. Max Imprint: 12" x 18"L. (front and back).